$15 off initial Lawn Care Treatment with a one-year agreement. 10% off first year when multiple services are purchased together. $10 credit for each referral that purchases a pest service. Servello & Son has been contributing to the beauty of our local Central Florida community for over 20 years. Our goal is to provide you with a complete range of landscape services that exceed industry standards in the area of quality and dependability. An experienced team of certified landscaping professionals is here to focus on the unique needs of each client. At Servello & Son, we believe our reputation is your reputation and we want to earn your trust. 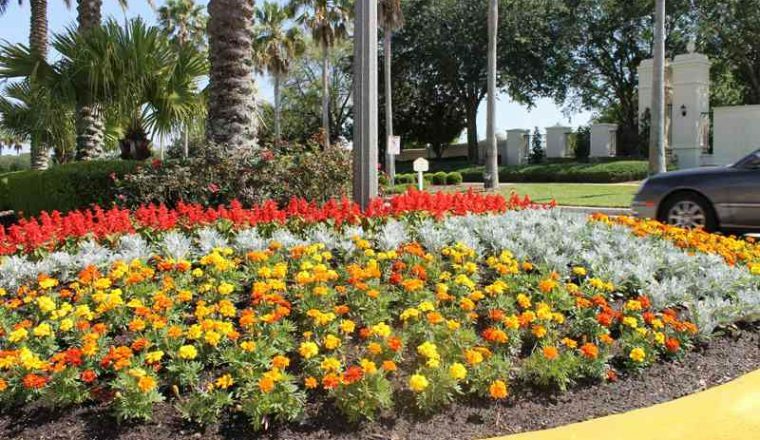 Since 1989, Servello & Son has contributed to the beauty of local Central Florida communities by providing certified Orlando commercial landscaping services. Our business has grown and flourished over the decades with the motto of “Always Providing Solutions”. We carry certifications in a variety of related fields including pest control, commercial fertilizer, and much more. Our goal is to benefit the community with the design, installation, and maintenance of stunningly attractive landscaping in Orlando. Our quality cost-effective service packages are custom designed to suit the unique demands of each customer. A single overlooked detail can have a dismal effect on even the most ornate landscape designs. That is why we make it a priority to deliver services that are all-inclusive, ensuring that every step of care and maintenance yields immaculate results. We believe in establishing and maintaining long-term relationships with our friends and neighbors throughout the area by bringing dependable, affordable, and expertly maintained landscaping to Orlando properties. Our long history of glowing testimonials and prominent awards and recognitions is a natural consequence of our uncompromised commitment to high-quality standards. At Servello & Son, our talented staff is licensed, trained, and certified in a full range of professional skills. We provide one-on-one planning with award-winning installation design teams to create a landscape environment that is remarkably functional, and entirely fitting within your necessary budget. 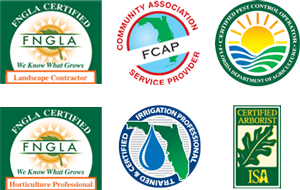 Our staff is FNGLA certified and trained with the most expert knowledge on commercial landscaping in Orlando. We specialize in plant biology and disease and insect control for properties that are lush and healthy all year round. Proper Orlando landscaping means care and attention to every part of your property’s grounds. We use custom blended fertilizer to protect the environment while requiring minimal use of chemicals. Our licensed irrigation experts focus on strategic water management to maintain healthy and beautiful landscapes with the highest possible water efficiency. From planting and care to removals and structural pruning, our certified arborists are some of the most knowledgeable in the industry. Sometimes water and sunlight alone do not produce the desired results of having a radiant green and healthy looking lawn. We also offer fertilization services if you are unhappy with the current results of your lawn-care! Pests in Florida are abundant. We know that sometimes they can invade your lawn and even your living space. We offer pest control services to protect against invasive species in our tropical environment. Our in-house staff is substantially trained and certified, providing expert knowledge and unmatched customer service to guarantee our clients premier Orlando landscaping services. We began our work in Orlando commercial landscaping with only a single truck, one trailer, and three employees. Today we serve multiple counties throughout Central Florida with our solid team over one hundred skilled employees. We focus on quality, cost-effective services completed with knowledge and expertise. Call today for your free quote.